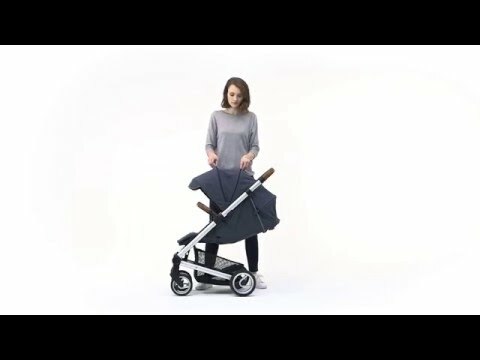 The pushchair seat is suitable for children from 0 months and upwards, up to 55 lbs (25kg). Infants younger than 6 months must be strolled in a flat fully reclined position. To do so, you must set the pushchair seat in the reclined position. This position makes the reclining angle flat and ensures more comfort and safety. The pushchair seat must be removed from the reclined carriage position for infants from 6 months and up to 25 kg.